This is a bit overdue, eh? Little Mac is the latest newcomer for the upcoming Smash Bros game, and I can think of few characters who deserve their slot on the roster more. As the trailer pointed out, he’s got little patience for those taking cheap shots at his height, and it seems like Dedede would learn that the hard way (incidentally, he really is that small compared to Dedede! Check the trailer). 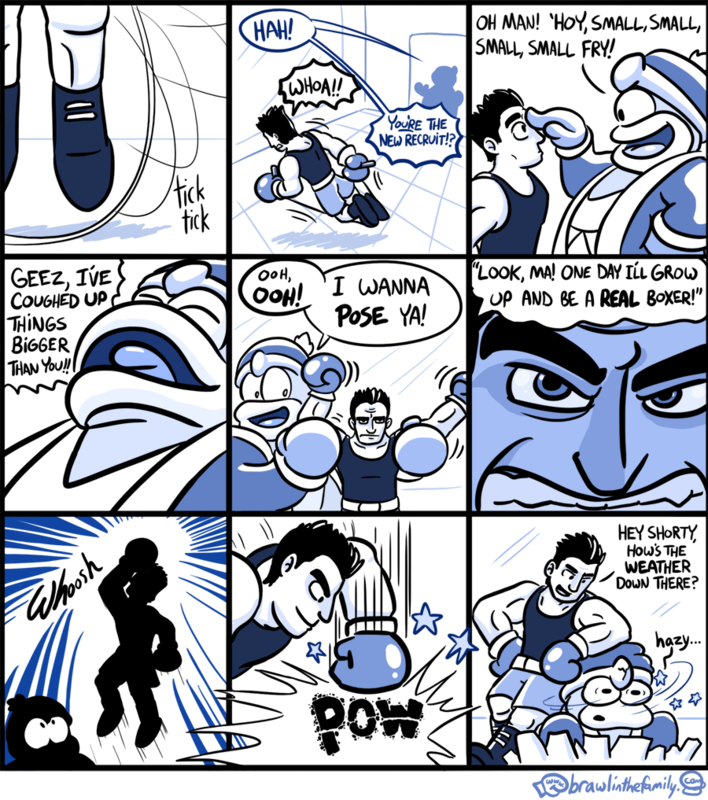 I hope this points to a new Punch-Out down the line, because the Wii one was terrific. Looking forward to playing as the perpetual underdog–he looks potent as heck.